Checkout store backups contain an entire store, including its employees and any imported custom templates, custom store logo and preferences. Because employee login credentials are dependent on how a Checkout store is loaded into the Checkout database, all employee passwords must be reset when a store backup is restored. Checkout uses a random 6-character database name when creating a store or loading a store backup into its database. This internally-used database name is changed whenever a store backup is restored. 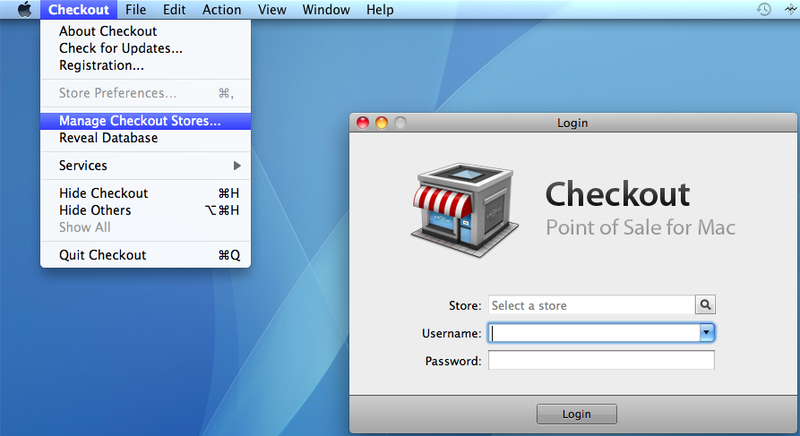 Therefore users will need to reselect the store at the login window on all computers after restoring from a backup. Choose "Manage Checkout Stores..." from the drop down menu. Use the Choose button to save the backup file to another location. Each backup is labeled in an easy to read file name, and are compressed, gzipped, to save space. Scheduled backups are created on the computer hosting the Store, and must be running Checkout while the backup is running. We all have some form of insurance. Life, car, house, apartment, liability, health and maybe even pet. Would you be interested in some insurance that costs nothing? When is the last time that you backed up your Checkout store? Has it been a while? What happens if your Mac had a hardware issue and your current hard drive wasn't recoverable? How long would it take you to find your last backup and get it up to date? If your answer to the last question gave you an uneasy feeling in your stomach, then the time to backup is now. How do I backup? Launch Checkout and select Manage Stores from the Checkout pulldown menu. Where should I save the backup? It's best to have it safely off your Mac. While a CD/DVD or USB drive can be used, you can also compress the backup and email it to yourself. How often should I backup? While once a day is suggested, the big question is how hard would it be to get up and running if you had to restore and use your last backup. Hopefully this quick and free insurance will allow you to sleep a little better tonight. Pleasant dreams. Depending on Time Machine to make Checkout backups isn't as reliable as creating your own backups. Additionally, restoring Checkout backups from Time Machine hasn't been tested, and it's unclear what the result of a Time Machine restore process will be. 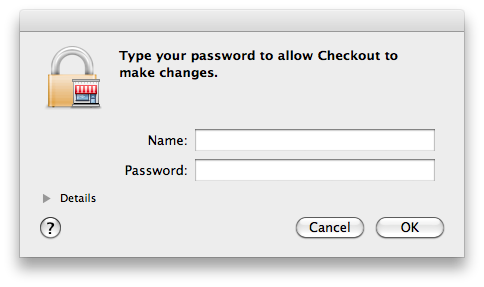 From time to time it may be necessary to actually rebuild the Checkout database. This can resolve certain inconstancy issues and can lead to increased performance.